St. Thomas Roman Catholic Church is in the center of Underhill Center, Vermont. 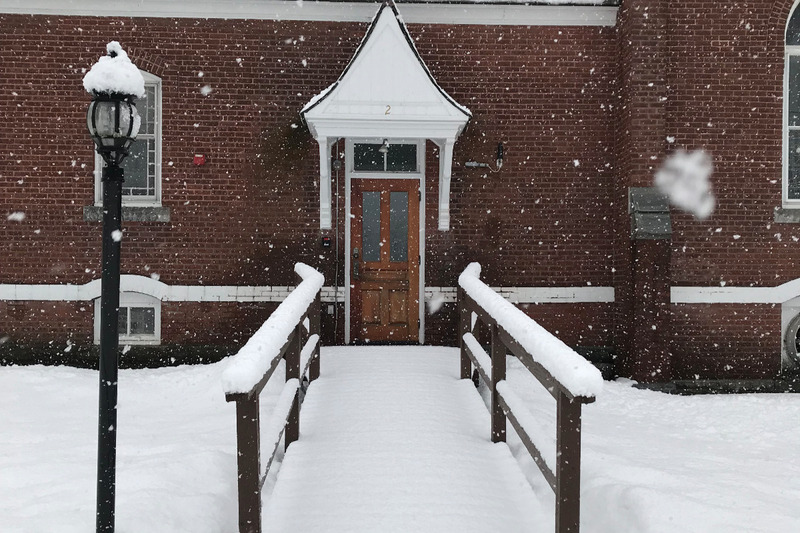 It served as the focal point of the community when it was built over 125 years ago, by Irish and French families and is the second oldest Catholic church in Chittenden County, Vermont. Today, the parish covers the town of Jericho, Underhill and Underhill Center. The parish hall in the basement serves as a gathering place for meetings, community events, and church community dinners. When the church was built it's plans never included accessibility for the handicap or the elderly. The steep stairs into the parish hall were thought to be accessible for all. Unfortunately, we have come to find that isn’t the case. As the congregation has aged and our town has grown, more and more parishioners and visitors have been unable to access the parish hall and attend functions. It has been found that an elevator is too expensive and state regulations would make that direction too prohibitive. The best solution is to build an accessibility lift from the outside of the building that would allow all persons to enter the parish hall, sanctuary and church. Please join us in bringing our piece of history into the 21st century. We look forward to being able to truly open our doors to all!